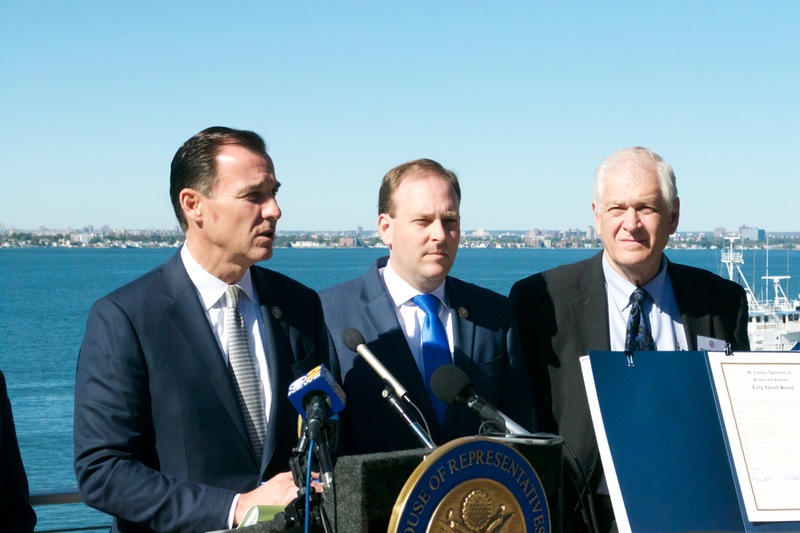 In July of 1997, then Glen Cove Mayor Tom Suozzi and Stamford, Conn., Mayor Dannel Malloy attended “Orchestrating Both Coasts for a Better Sound,” a event in which officials from both sides of the Long Island Sound called for cleaning the waterway. Last Friday, U.S. Rep. Tom Suozzi (D-Glen Cove) and Connecticut Gov. Dannel Malloy were among the officials in attendance at the Merchant Marine Academy in Great Neck for “Orchestrating Both Coasts for a Better Sound 2.0,” an event commemorating efforts made to clean up the Long Island Sound. Despite improvements to water quality since the Clean Water Act of 1972, the Sound was still prone to sewage spills and high levels of nitrogen in the 1990s. At the 1997 conference, officials from New York and Connecticut pledged to worked together to clean up the Sound. On Friday, officials came together to celebrate the fruits of that partnership. One of the major points of success was the 58.5 percent reduction in nitrogen levels in the Long Island Sound. By reducing the amount of nitrogen, the water contains more oxygen and allows marine life like lobsters to thrive. 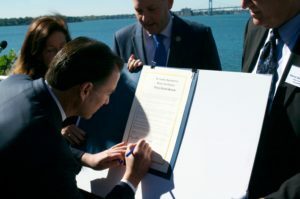 Officials also touted the miles of coast line on both Long Island and Connecticut that had been cleaned and restored through federal and state grants. 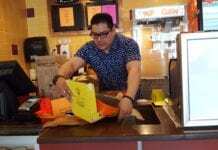 In addition to Suozzi and Malloy, Suozzi’s co-chairs of the Long Island Sound Caucus, Rep. Lee Zeldin, a Republican representing Suffolk County, and Rep. Rosa DeLauro, a Democrat from Connecticut also spoke to the audience. At a reception held inside Meville Hall, with Little Neck Bay and Manhattan as a backdrop, the commissioners of the two states’ environmental conservation agencies spoke about the progress being made and the need to further protect the Sound. To that end, the ceremony ended with those in attendance signing a pledge to continue to work to preserve the Long Island Sound. “(This effort) is a partnership. It’s the federal, state, local governments, NGOs and citizens all coming together,” said Nancy Seligson, chair of the Long Island Sound Citizens Advisory Council, before she also signed the pledge. Whether the federal funding will continue remains to be seen. Since efforts began to clean up the Sound in the 1990s, Presidents Bill Clinton, George W. Bush and Barack Obama have signed bills that provided funding for restoration efforts. President Donald Trump has proposed cutting the Environmental Protection Agency’s budget by a third. When asked about future funding, Zeldin said he would fight to include it in the budget. He had previously worked to prevent a 22 percent funding cut to the Long Island Sound in 2016.